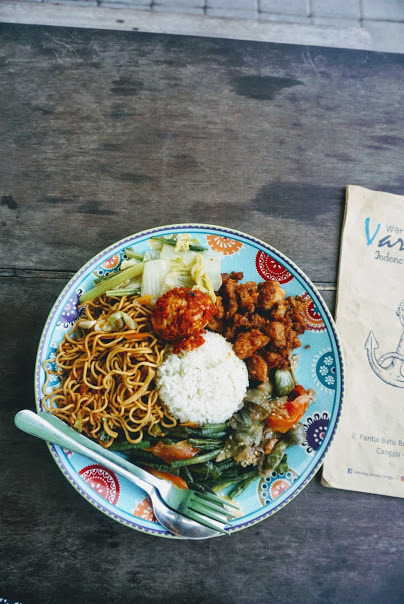 Looking for the best food in Canggu, Bali? 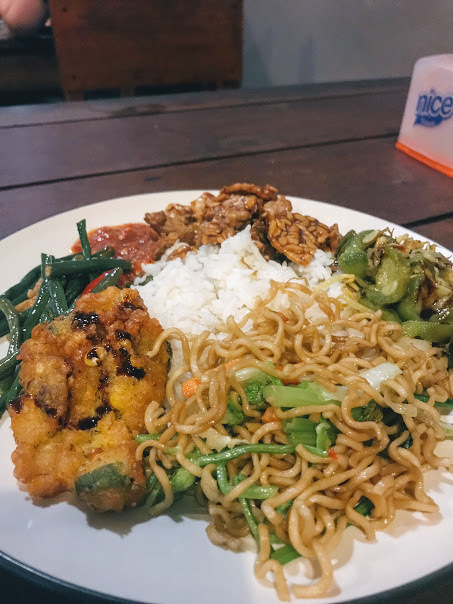 I’ve compiled the best restaurants into the ultimate Canggu Restaurant Guide for you! Read on to find out more! My relationship with Canggu is one that borders on obsessed. Nestled a few miles North of the hectic areas of Seminyak and Kuta, you’ll find the perfect little surf town. Honestly, there is very little not to love about Canggu. 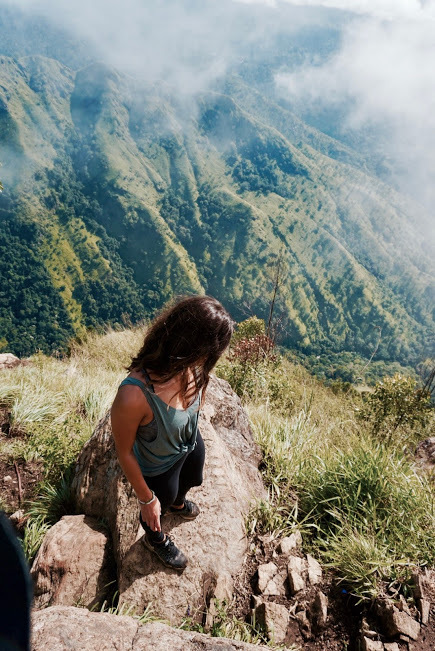 Yoga, surf, shopping, gorgeous rice field roads, and, of course, the incredible food scene! 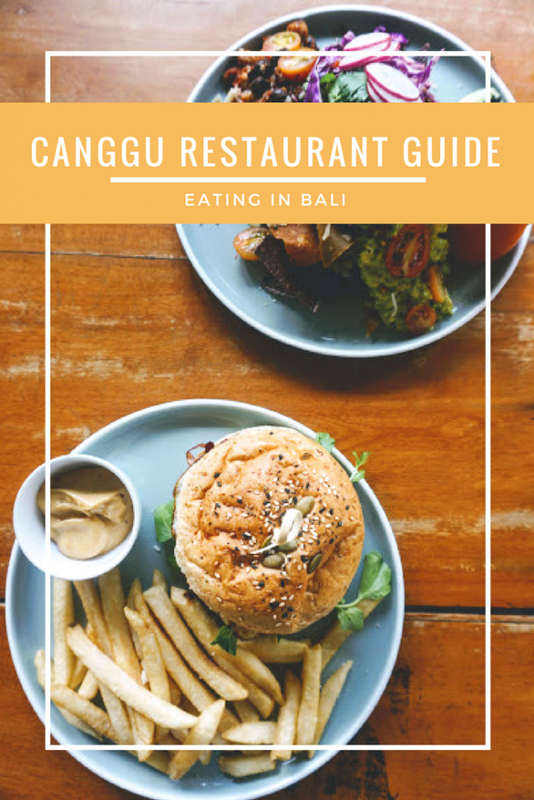 Looking for a Canggu restaurant guide? Look no further! This guide will tell you everything you need to know! 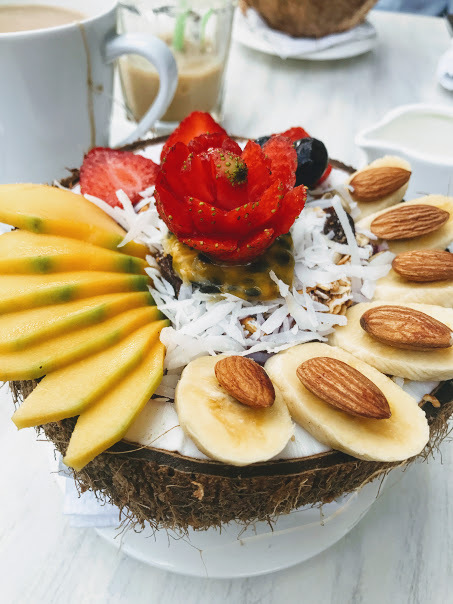 Instagram-worthy smoothie bowls, all day breakfast, and a rope swing – there is no wonder the influencers are (quite literally) flocking here! 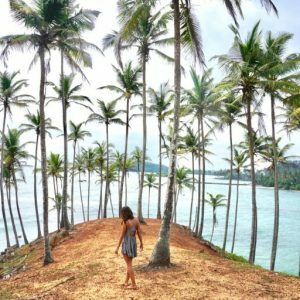 Working as a digital nomad? This spot is for you! Cozy couches with accessible outlets or you all of your working need while you chow down! This place makes being a vegetarian look easy! An exclusively vegetarian menu (and mostly vegan menu) has tourists and expats alike feasting at this hip spot! Crate might as well be an East Village brunch spot on a Saturday with the number of folks lining up each morning. Don’t worry, there is plenty of parking for your moped across the street, so you can be sure to arrive in true Bali style. This spot is Crate Cafe before it was trendy! Want an excellent smoothie bowl without the crowds? 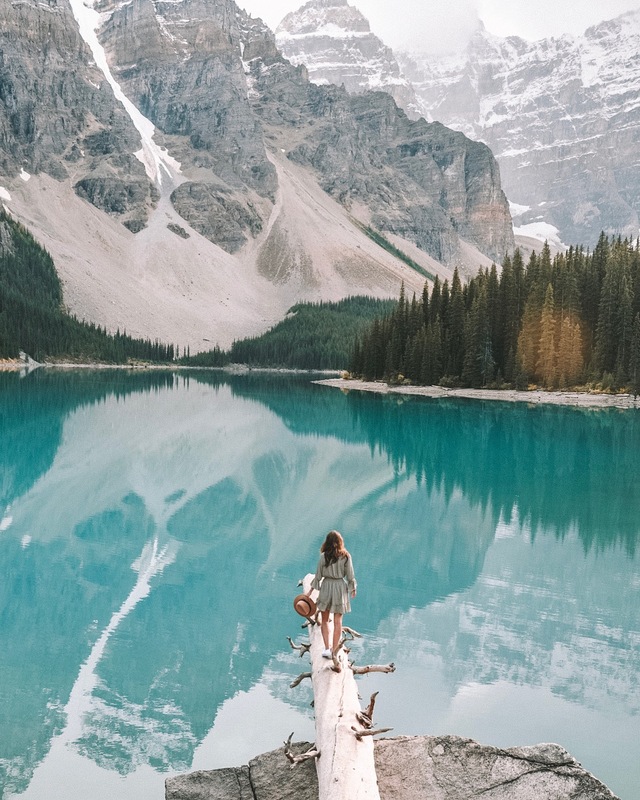 The relaxed nature of this spot will give you plenty of time to get that perfect shot! 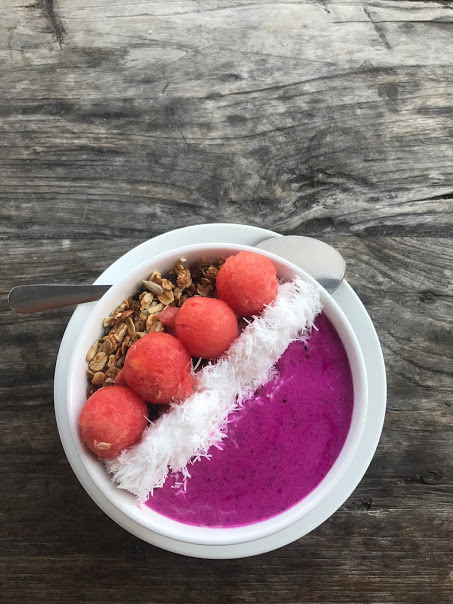 What to order: Build your own smoothie bowl! 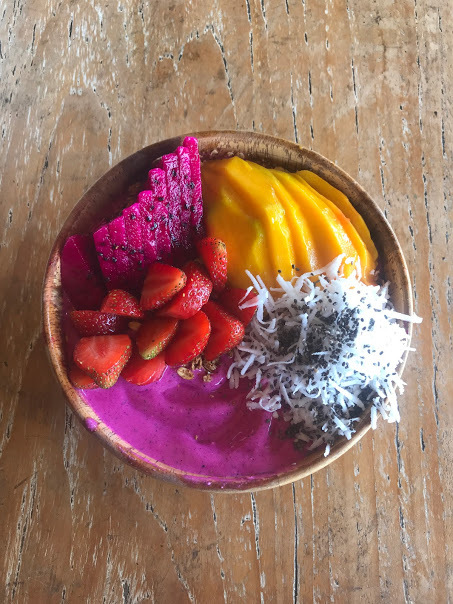 Top it up with all of the brightest Bali fruits – dragon fruit, mango, strawberries! When is the last time that you ate a meal for a dollar that wasn’t a late night slice of pizza? At Varuna a full plate of delicious goodness will only set you back a buck or two! 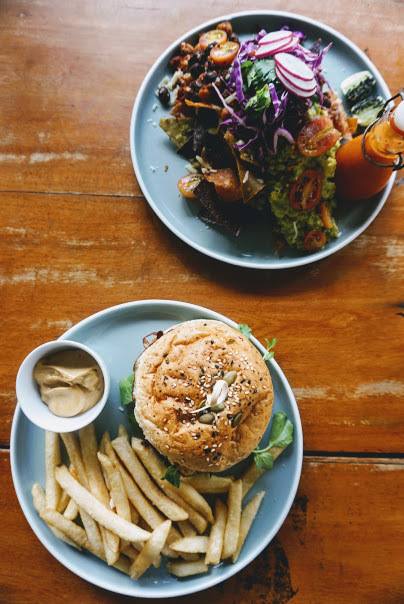 This farm-to-table eatery makes eating healthy easy! That is, until you indulge in one of their amazing slices of Oreo cheesecake! Transport yourself to the tropics at this fishy spot! This fish friendly eatery gets quite crowded in the evenings so opt for lunch at this spot if you can swing it! 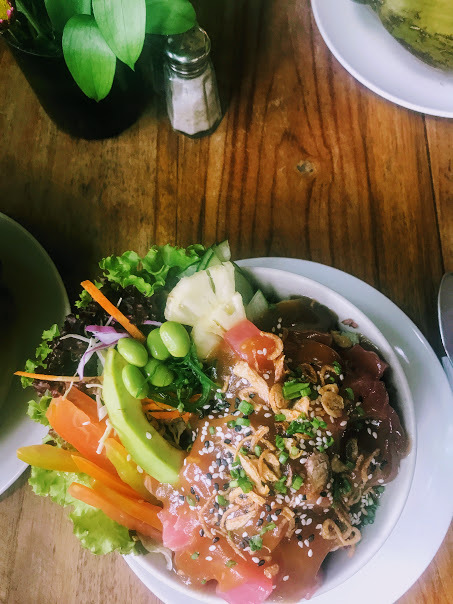 What to order: Poké bowl all the way! 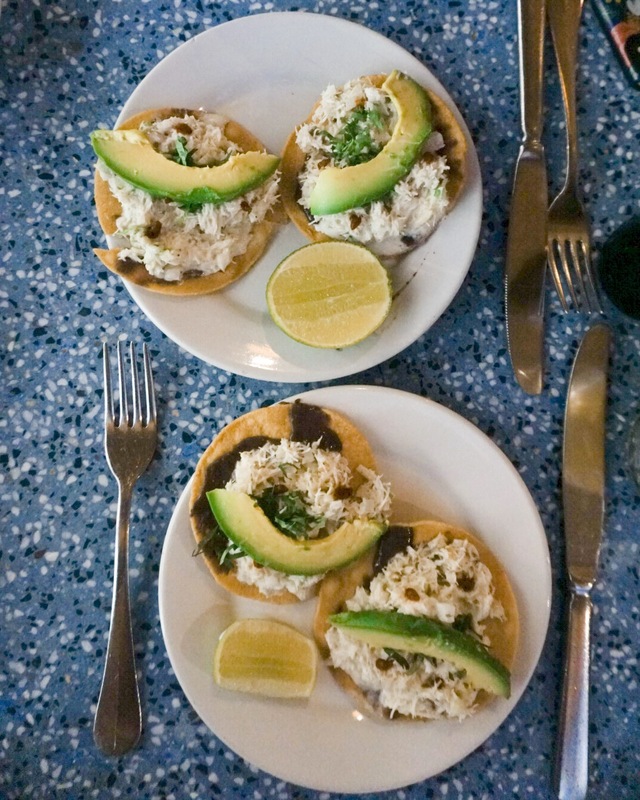 This spot is a win-win all around for both locals and travelers – cheap prices and delicious options! 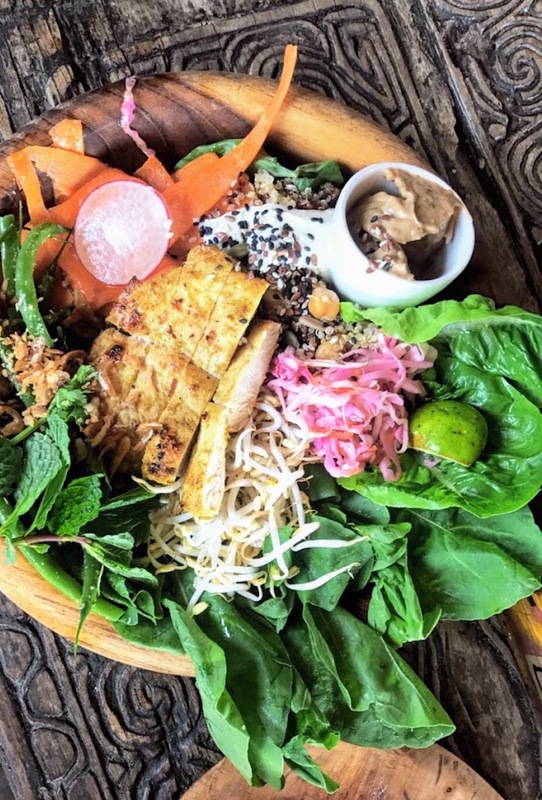 While perhaps less Insta trendy then some of Canggu’s other spots, Bu Mi definitely deserves all the hype! What to order: everything buffet style – just keep loading it up! 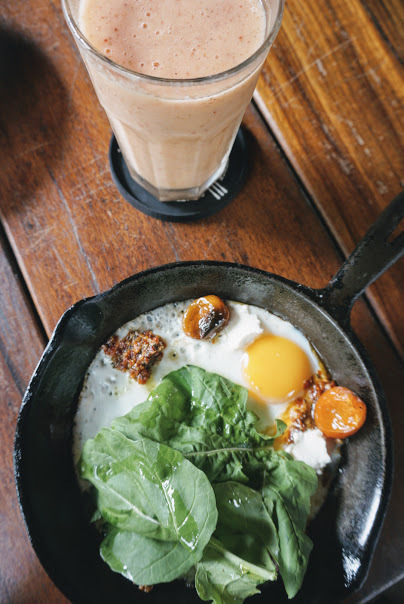 Like this Canggu Restaurant Guide? Don’t forget to Pin it for later!